Welcome to the Ferret Carriers & Leashes superstore! Ferrets have been kept as pets for centuries, and are now one of the most common pets in the United States. They occupy a unique position in the small animal community; their large size (compared to rabbits or guinea pigs) means they are more suitable to free-roaming activities, but they are still small enough to need extra supervision. 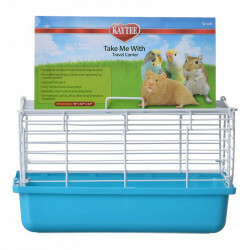 Bringing your ferret along with you anywhere means it'll need a secure, comfortable carriage for the journey, and our selection of small, comfortable carriers are perfect for the task. They allow your pet plenty of visibility while allowing him to travel in total safety. Our lead leashes and harnesses may be surprising, but the fact is that ferrets make great walking companions! They love the exercise and the chance to explore the world around them. 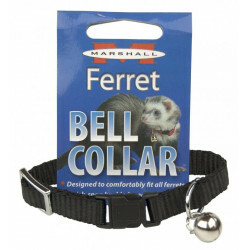 Pet Mountain's Ferret Carriers & Leashes store features top quality products from the most trusted names in small pet care, carriers and harnesses, including Super Pet, Marshall and Four Paws. 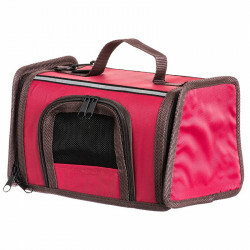 Let your pet travel in first class in the Super Pet Come Along Carrier, a cozy and comfortable fabric-covered pet carrier. Super Pet Come Along Carriers can be combined with the Take Me Home Travel Home for the ultimate travel system. The ultimate carrier for convenience and comfort, Come Along features fresh air vents, a handy storage spot, "E-Z" Carry handle and "E-Z" Zip double zipper design. The Super Pet Comfort Harness Plus Stretchy Leash is the safest and most stylish way to walk your favorite furry friend! The Comfort Harness is designed to comfortably conform to your critter's contour. The unique harness and Stretchy Stroller ensures your pet cannot get away from you, yet its elasticity helps prevent injuries to your pet while being walked. 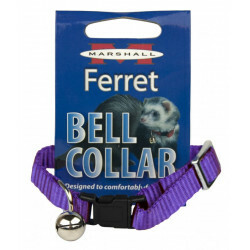 The Marshall Ferret Harness and Lead is specifically designed for ferrets. 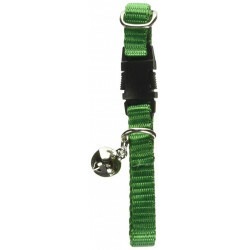 This harness features quick snapping buckles and fully adjustable straps to account for ferrets of any size! When properly adjusted, this harness is escape-proof, comfortable, and incredibly easy to use. 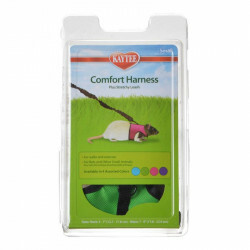 This harness and lead combo is perfect for taking your ferret on walks! Check out all of our available colors!